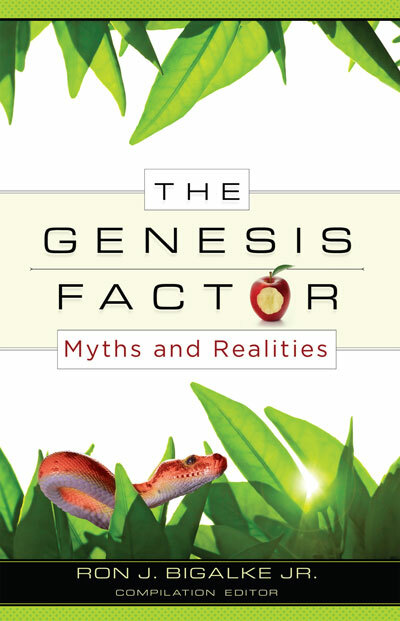 I've been reading The Genesis Factor, edited by Ron Bigalke, Jr. here lately. 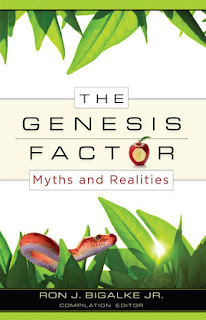 It's my latest review as part of the Master Books Apologetics Review Team. I have to say up front that the compilation types of apologetics books aren't my absolute favorite. While I love getting a variety of expert points of view, there is just something about jumping from one author to another each chapter that I personally find jarring. So, my take on books like this is usually to read a chapter in a sitting, and then let the book be for a few days. At that point, I can read another chapter. It is much slower going than I am used to though. Each chapter takes on a topic, with many being written by PhD types who really know their stuff. I was particularly fascinated by a couple chapters in the middle... Chapter 6 on evidence from outer space, and Chapter 7 on evidence from the oceans. Those had a lot of pretty technical parts to them, and I'll confess that I didn't quite follow some of it on a first reading (or a second, actually). The information was fascinating. For several years before the magnitude of the polar wind was determined, this author reported that the lack of helium in the atmosphere argued for a young earth. Based on the measured and computed escape rate of helium to space in the polar wind, that argument is no longer valid. Those two sentences do make more sense in context, but my point is: I was thrilled to see the statement of an argument that I have heard made that has been disproven. Not only did Vardiman talk about the fact that the argument has been proven wrong, but he admitted it was something that he had put out there. And being wrong in one specific case doesn't bring down the entirety of the young-earth creationist model. I thought that was refreshing. Of course, even more interesting was learning about some of the research going on and what it shows. Much more of what is being found now is better interpreted with thousands of years rather than billions, and I always enjoy working through those discussions. I've enjoyed this book. You can see what others had to say about it though at Creation Conversations. hmmm looks interesting. I will have to check it out.